Pinterest allows you to run custom audiences, and target promoted pins at these audiences. With our Pinterest integration, you can pass Permutive Segments over to Pinterest to targeting users on their boards and through Pinterest's Ad network. The setup requires work in Permutive and the Pinterest Ads platform. It's important to ensure you have access to both before starting. Pinterest will need to verify your audience before you can use it to target in campaigns. The next step is to ensure people are added to the Pinterest Audiences correctly, matching your Permutive Segments. 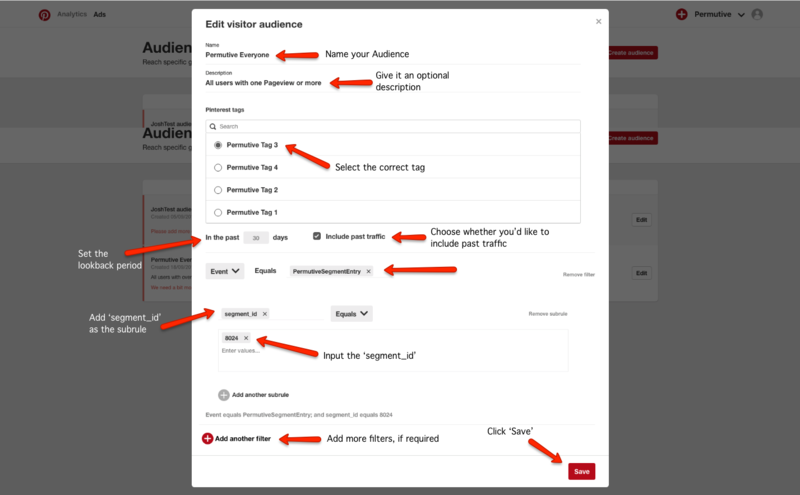 To get a segment into Pinterest to use as an Audience you'll need to set up a Reaction. Go to the Reactions section of the Permutive Dashboard. Click + Add Reaction. Select 'Pinterest' under Action, then fill in the details. 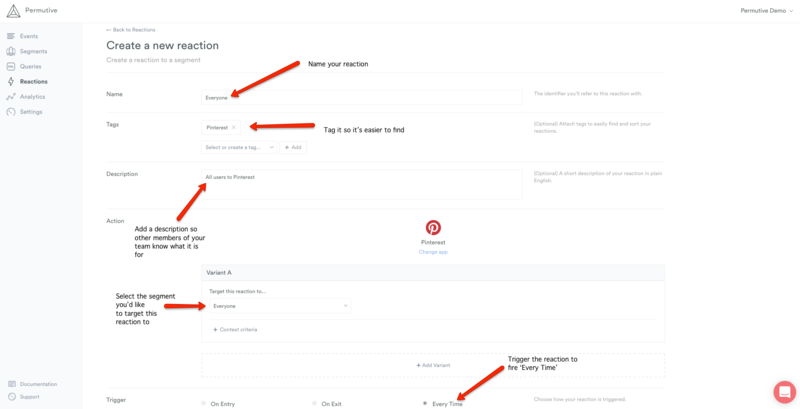 Give the Pinterest Reaction a name and pick the segment you want to target. Set the trigger to 'Every Time'. When you return to the Pinterest Ads dashboard, head to Ads > Create Ad. Set up the campaign and click Continue. Add the Ad Group details and then select the Permutive Audience you'd like to use in this campaign.